Sterling Silver (price for bangle only). Elegant and striking, perfect for any special ocassion or everyday wear. Inside diameter 5.5cm (medium wrist size), widest coil point 2cm. 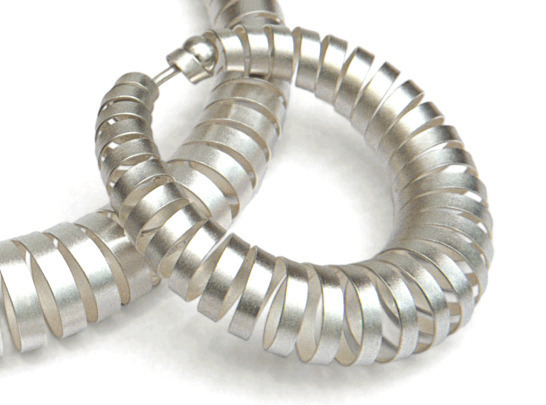 The piece has an inner flexible wire support and features an original 'Double-Ball' clasp. Please read the guide to bracelet sizing and then select the required size from the options on the right. If unsure select 'Don't Know' and Daniela will contact you to establish the correct size after the order has been placed.